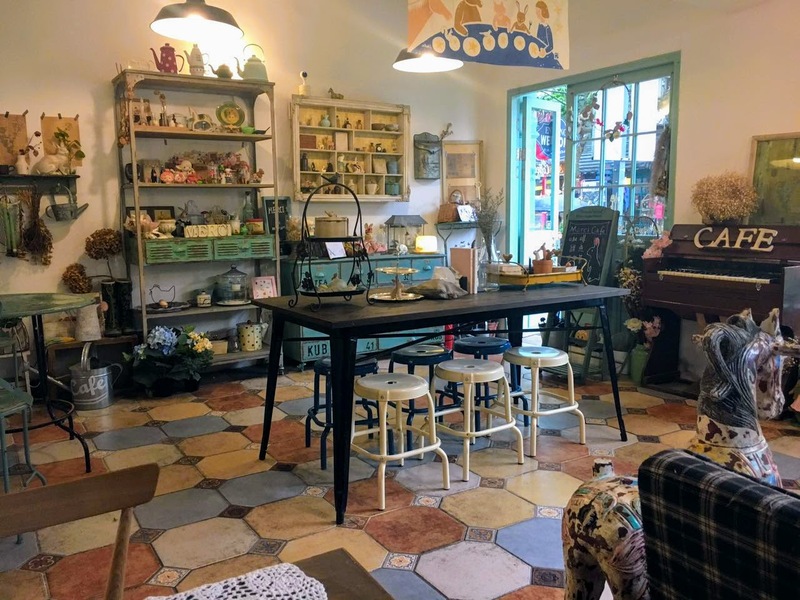 Desperately Seeking Adventure: Wuchang: Coffeeshops, Markets & The Riverside! Wuchang had one more day of exploration in-store for me, my departure back to the UK loomed. This final Wuchang instalment had me revisiting a favourite coffee street of mine, getting back to the rough scene of a market area that could well disappear soon and a final walk along the riverside of the legendary Yangtze River. One more time Wuchang? Coffee, Wu?! My time in Wuhan was seriously running out, reserving one more night out and a Wuchang day before the flight back to England I knew what I needed to do! Jumping on the Wuhan Metro for the final time I headed for Tanhualin, a kitsch street bursting with coffeeshops had been a hotspot for my 25th birthday in November 2015. Leaving just enough time in-between those visits I noticed a surge in development around Pangxiejia station compared to my first visit when things basically looked like a sight of rubble. The street had changed slightly, not paying too much attention to the new modifications I headed for Merci. 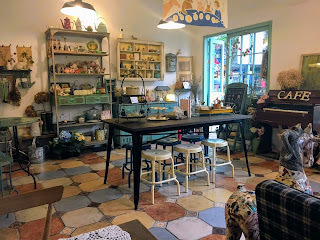 I had chosen that cute coffeeshop on my birthday and quite frankly it looked the best on the street out of the many other competitors. Choosing a milky coffee and a sweet chocolate cake it was great to treat myself as the rain pelted down outside. Luckily the character of Merci hadn't changed! Oh! 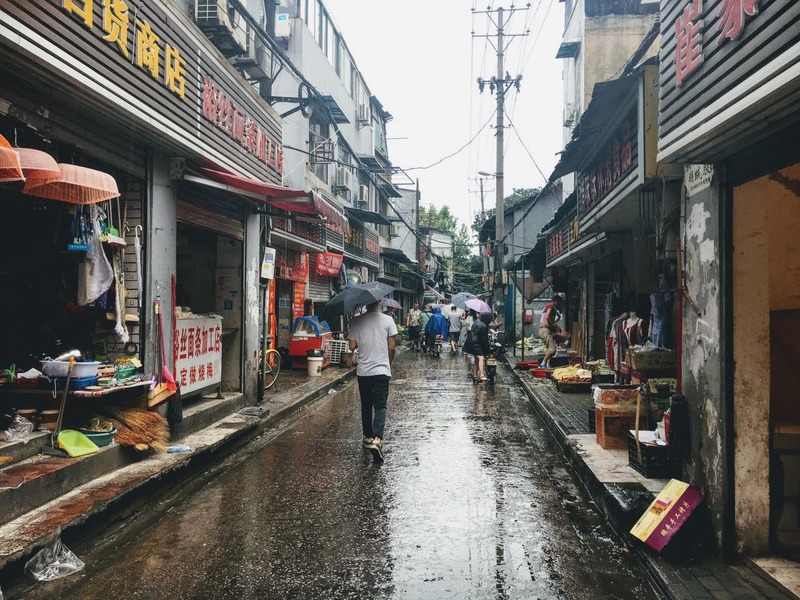 Tanhualin brought many memories back from the beginning of my time in Wuhan, things were blessed during that November 2015 period when I first visited that colourful Wuchang street. Standing in that moment it felt very strange to be looking at the same place, even if some of the other coffeeshops had closed down, maybe it was due to the metro construction? Such shady business! My coffee and cake were lovely, the staff in Merci hadn't lost their friendly vibe like when I first visited almost two years previous to that July afternoon. Sundays had become the new Saturday for me, plus the rain could have well kept people away because it was nice and chilled. Wuhan is great and Wuchang kept me coming back for more but it wouldn't half get crazy! I adored being back along Tanhualin, it was a place that I wanted to revisit before saying bye to Wuhan. Tanhualin had seen the last of me, bidding a fond farewell to that coffee street I finished my drink and snack and got back on with it B! Desheng Bridge cropped up on a Instagram photo from a wannabe blogger/photographer, ain't nobody trying my game, I do what I do with integrity and without silly editing tools! Revisiting another November 2015 haunt I could appreciate this up-front market street that served up no apologises. The stench of raw meat hanging in a Chinese style butchers reminded me of my first nights in China during that Shanghai weekend, the hostel was next to a food market that carried the same smells over that will never leave me! The great thing about Desheng Bridge is that everything is sold there, from vegetables to household items, going back to my first visit I even got a haircut in the hairdressers along the parade of shops and stalls. The most recent trip wasn't about purchases, I never spent a penny because I was taking the views in for a final time. Desheng Bridge looked better in real life without any filters. Embracing Wuhan's low foreign presence I seemed to be the only westerner walking along Desheng Bridge, the market traders thought that was very amusing indeed. I could half understand what they were saying to me and about me but I knew what to say back to them and I was perfectly cordial. The rain still felt the need keep on but I wasn't bothered, the afternoon so far felt like closure in one breath with a smattering of new discovery. Was Desheng Bridge anything like Bilston Market? I would have to say certain similarities could be seen as far as both sets of traders all want make living by selling their products, sounds like the same common goal? The meat may have harboured some unsavoury smells but the was suited to Desheng's vibe, taking me back to my first nights in China I sort of appreciated that acrid scent. Both Tanhualin and Desheng Bridge served equal amounts of Wuchang realness, fulfilling two of my final three segments. Baidu Maps had the next part covered! I had never realised how close by Tanhualin and Desheng Bridge were to the riverside of the Yangtze! The rain persisted still but I didn't care about that one bit! 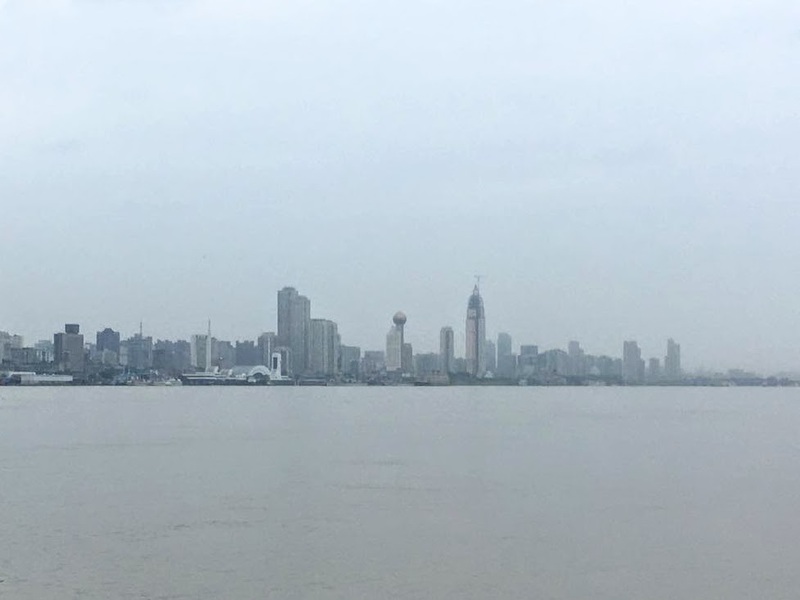 Taking in the magnificent views of the gargantuan Changjiang for the final time I was living for that moment, practically deserted due to the rain I was almost alone during that rainy afternoon river walk. Captured is the Hankou portion of the Yangtze's riverside with views in the distance of the Customs House and main historic Bund area. I had seen the views of the Wuchang side many times from Hankou but didn't really take the time to visit the other side. 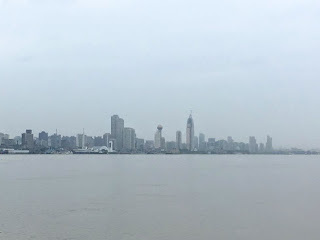 I spent some of the time sat down, watching the river flow as spoke to my dear friend Tony, we spoke about the colonial influences of the Bund area and how Liverpool and Shanghai shared a few similarities along both their riverfront's. I knew a certain goodbye would be in order. I didn't want to! Gazing at the wide expanse of the Yangtze River in front of me it hit me that I had broken past the two year mark, visiting the Yellow Crane Tower during August 2015 gave me my first sunny views of Hankou and Hanyang with so much optimism. In that moment I had worked my two years and been in two jobs, the second teaching gig had worked out for the best so all looked good from where I was standing. Going back to retrace my steps in Wuchang for the final time to lead me to such a calming sight in the rain felt amazing, it was quite sobering in one respect. I had looked to Wuchang a few times before and from a tourist point of view I had delved further into the areas that surrounded the Yellow Crane Tower to find a labyrinth of sights, smells and delights. Brushing all of that away for a moment I wouldn't of wanted to trade that view even for all the dreariness, Wuhan had come full circle. Take the metro back for the final time, Optics Valley Square saw the last of me! Life! I'm sure it will be, lots of development was taking place when I left in July 2017. I believe the main parts will remain, those that have been featured in the blog.